Hello there friends and crafty peeps! I just can not express to you how much I've enjoyed working with the Land of Wonder Collection. It so bright and vibrant and yet still manages to be vintage all at the same time. 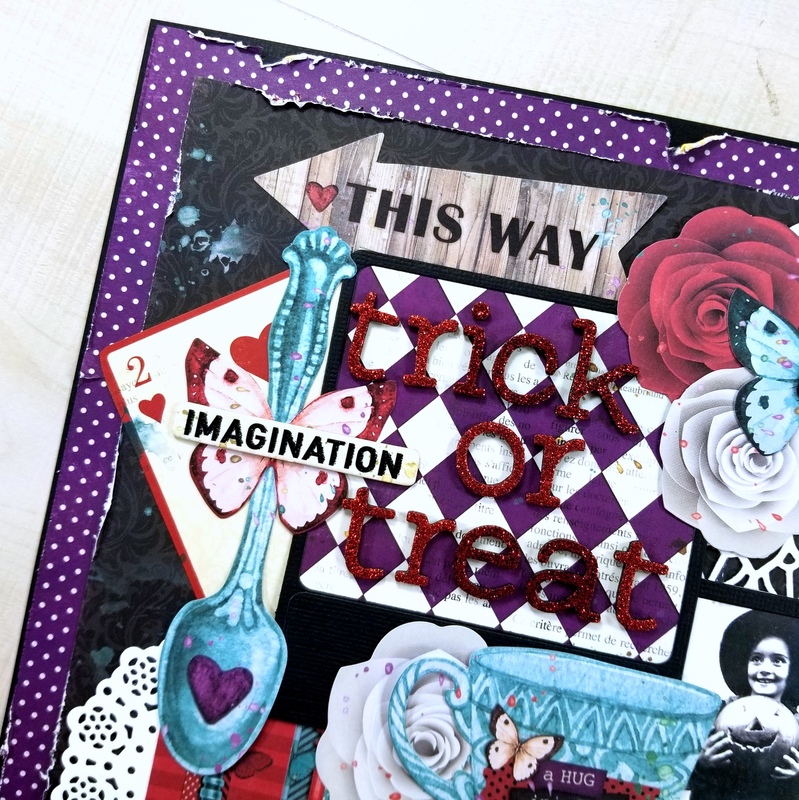 And the subtle nod to Alice in Wonderland is just so perfect for making Halloween projects. I created this layout to work as a holiday home decor piece. 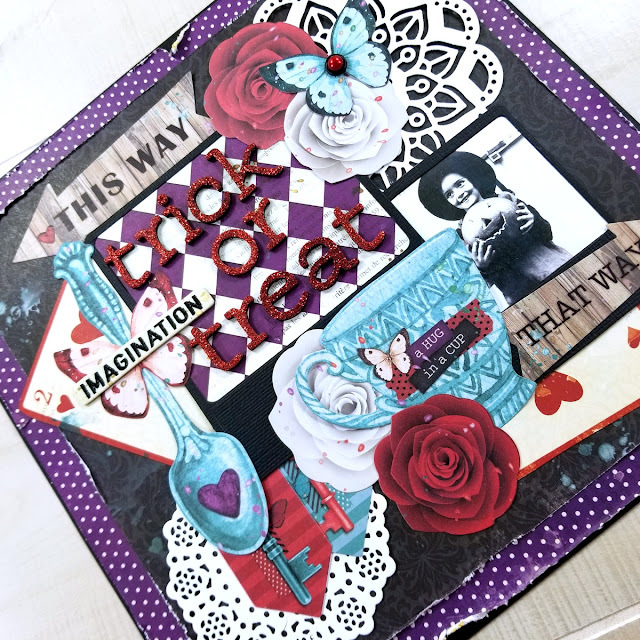 It would work as a layout to go in a scrapbook as well since it't not bulky from having dimensional items added. I do love a non traditional color scheme. An unexpected combo seems fresh and updated. I've been utilizing loads of the images from the Noteworthy ephemera pack. So many great choices I'm having a blast stacking them up to create fun arrangements. Layering in a die cut from crisp white really helps to brighten up this corner. 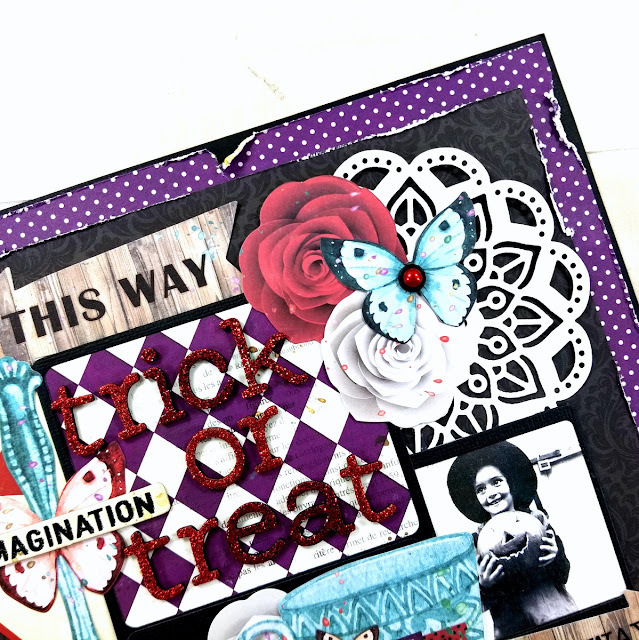 There's more Noteworty pieces here and a blingy brad from the collection to help extend that gorgeous red from the coordinating Thickers out to the edge of the layout. Don't forget to check out the options in the Layered Chipboard Stickers too! This one looks perfect with the pretty butterfly tucked underneath. I've used the instant photo frame style die to cut the frames for the picture and the sentiment. 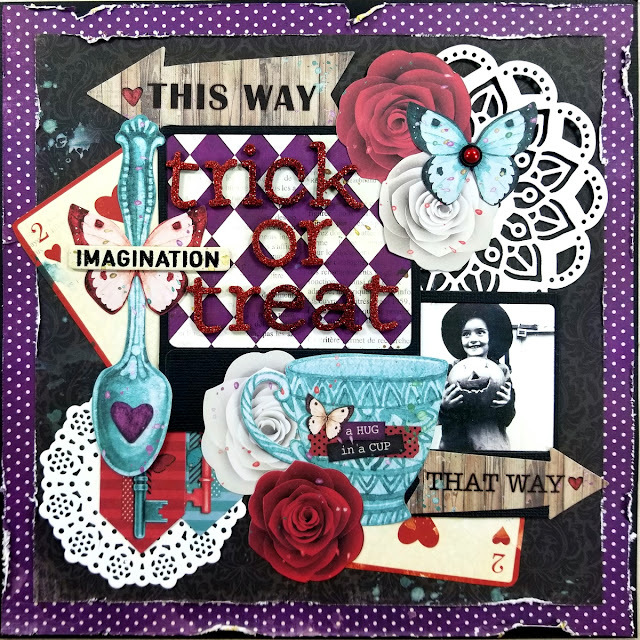 Using a vintage image in place of a regular photo helps to reinforce the aged appeal as does the tattered and grungy edges of the patterned papers.